Work for ARIS Process Mining? Learning about ARIS Process Mining? "Best business process modelling tool for business"
This is the the most robust and mature business process modelling tool for business. When I was a SAP consultant I used ARIS in many SAP implementations as this is a powerful and centralized repository for business process modelling. Also, it gives you ability to integrate with SAP transactions. The modelling notation is very simple to use and understand. I don´t have any points to raise regarding cons of ARIS. This is simply the best process modelling tool in the market. We have used ARIS in many SAP implementations as the official tool for design phase, where we raise and understand the companies business processes. 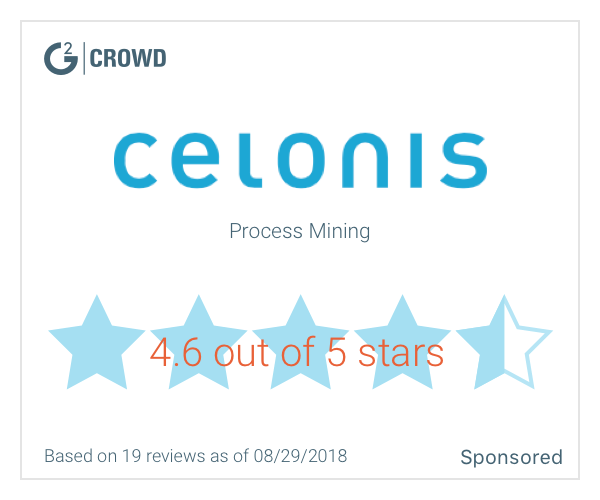 * We monitor all ARIS Process Mining reviews to prevent fraudulent reviews and keep review quality high. We do not post reviews by company employees or direct competitors. Validated reviews require the user to submit a screenshot of the product containing their user ID, in order to verify a user is an actual user of the product. Hi there! Are you looking to implement a solution like ARIS Process Mining?